OI-9850 The Interface, WireFree Monitor - Otis Instruments, Inc. 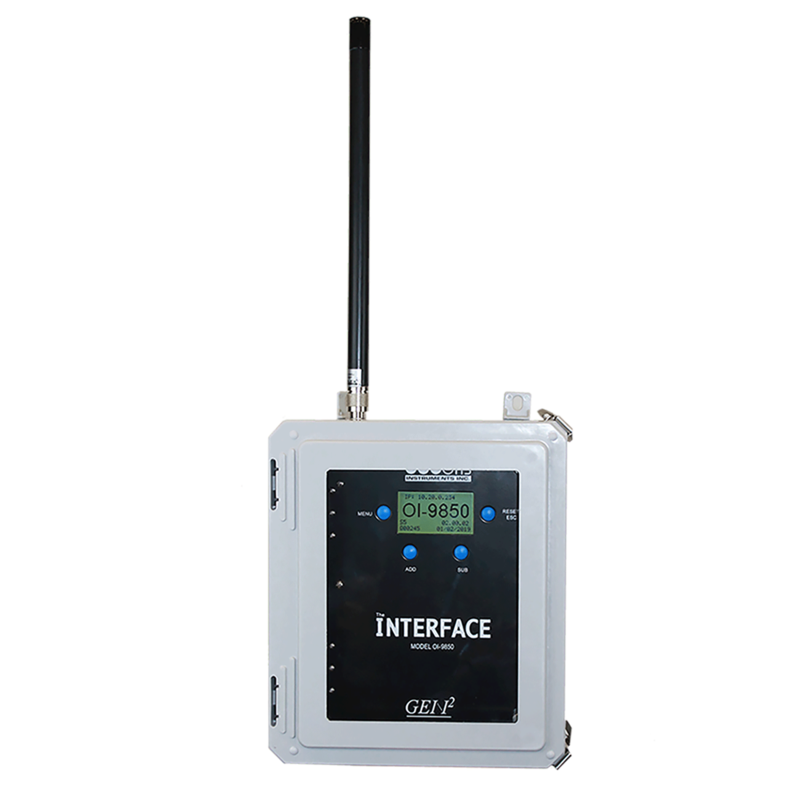 Engineered to accommodate the time-tested WireFree product line of Otis Instruments, Inc., the Interface OI-9850 is a 255 channel receiver that works collectively with Otis Gen I and Gen II WireFree Sensor Assemblies and a PLC, PC or other compatible Monitor. The OI-9850 features a 128×64 graphical LCD with green backlight. The device operates with 120/240 Volts AC or 12-35 Volts DC (250mA) power-in, features RS-485 and RS-232 RTU Modbus Output, and offers 0, 8, 16, 24, or 32 channels of 4-20mA output.